This gentle story with its readily lovable characters will promote thinking about the relationships between people and animals. With brief chapters, sprinkling of humour and sweet illustrations, it would be an excellent read-aloud for middle grade and upper-grade students. 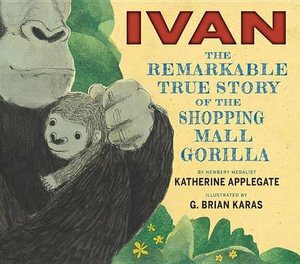 Written from Ivan's perspective, it is a story of courage and kindness which will have children cheering for Ivan and his friends, as well as humanity. This story is beautifully written and would inspire children to make text-to-world connections about animal rights issues, particularly the treatment of animals in captivity. 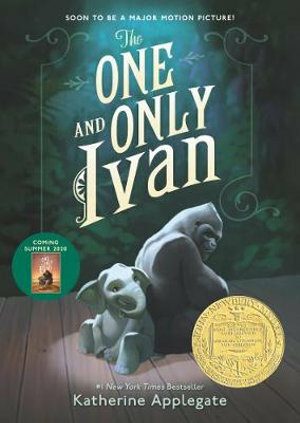 The One and Only Ivan is fiction, however the author provides notes at the end of the book about the real Ivan who inspired this story. An illustrated picture book version of this text has also been released.